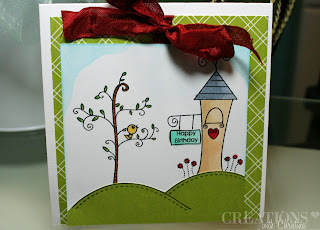 Welcome back to another Stampin' On Friday video. I hope this week zoomed by for you. This is really the first time I actually did a kind of scene on a card and I really had a lot of fun playing with it. I love my Copic markers and I feel like I'm getting better every time I use them, practice practice, practice. I got an email after I filmed this video from Carpe Diem Store, Sketch Markers are on sale $3.95 (you have to add them to your cart to see sale price). 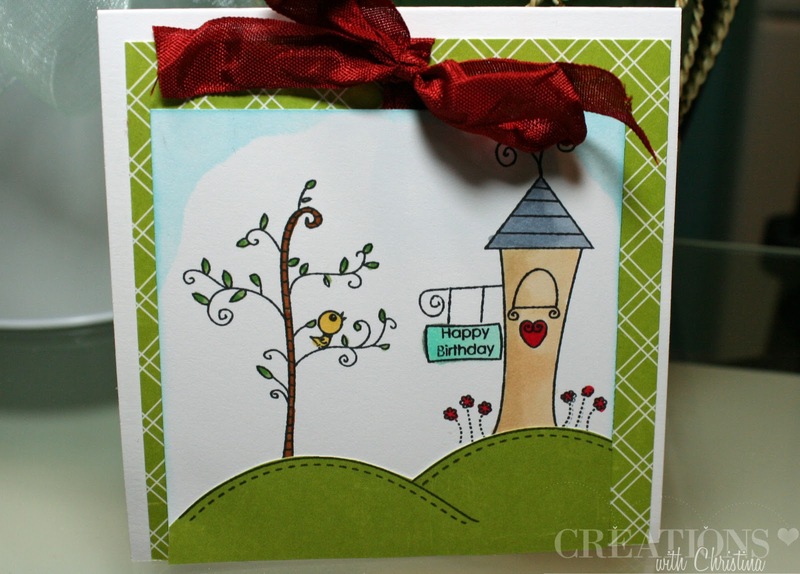 Great looking card and what a cute stamp set! Love your coloring and I think it looks wonderful! This is just so cute Christina. I love your videos. Have a great weekend. Oh, I've got to get this stamp set. Thanks, Christina, for another great video. Now I'm thinking Copics would be good too! Looks awesome~I would love to learn more on the copic markers. I just dont like the results "I" get. I think your right, practice, practice, practice! TFS! Wonderful scene & coloring on the card. If I heard correctly you indicate in the video you used YG21 & 23 for the bird but you list YG63 & 68. My PTI order arrived. What a cute card. Love the whimsical feel of it. My wish list includes a fabulous set of copics as well as some great stamp sets. Thanks. I love this card soooo sweet and cute. Sweet card! You always make everything look easy. TFS. Very cute card. I need to use my copics more. I bought a bunch and they sit because I am afraid to use them. Love seeing what you can do with those cool PT ink stamp sets. Thanks for sharing! LOve this stanp set. I must try the copics. This is such a neat card. Your Stampin' on Friday is really causing me problems. I can resist the Paper Trey Ink stamps and dies because they do not display them in a way that appeals to me and I save money. That all ended when you started using them and really showing them in a more appealing manner. Now I HAVE to buy their stamps and dies. Oh well - I guess I now will have an abundance of Stampin' Up and Paper Trey Ink. I love that whimsical stamp set. Your coloring is getting awesome. Really cute card! I like the scene you created. Thanks for showing us the Copic markers.